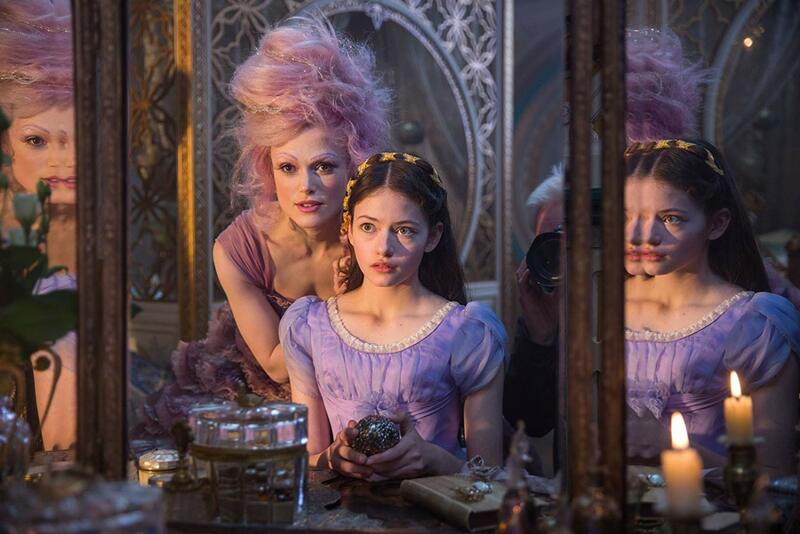 Disney’s latest film, The Nutcracker and the Four Realms, is a gorgeous adaptation of the Tchaikovsky ballet (itself adapted from the story The Nutcracker and the Mouse King by E. T. A. Hoffmann). Unfortunately, it never manages to craft a compelling story or characters to match the breathtaking visuals. Clara (Mackenzie Foy) is a young girl who, along with her father (Matthew Macfadyen) and two siblings, recently lost her mother. She spends most of her time tinkering with inventions, a trait inherited from her mother and godfather Drosselmeyer (Morgan Freeman). While attending the annual Christmas ball, Clara sneaks away to her godfather’s workshop to ask him for help unlocking a puzzle left by her mother. Yet she receives more than she bargained for when Drosselmeyer’s gift transports her to a magical kingdom of four realms: one of candy, one of ice, one of flowers, and finally a desolate wasteland that is at war with the others. Foy does what she can with the role, but her character isn’t much more than an empty vessel to transport the audience around the saccharine realms. 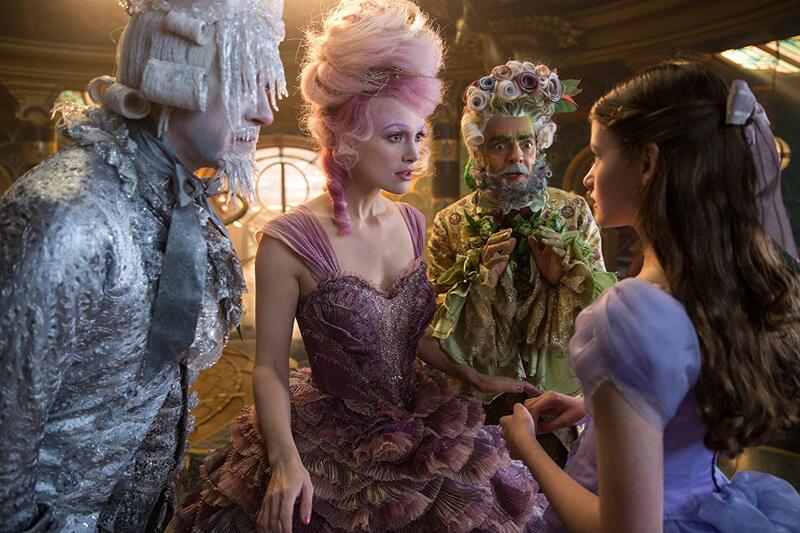 Her companions are a nutcracker soldier named Phillip (Jayden Fowora-Knight) and the three leaders of the “good realms” – Sugar Plum (Keira Knightley), Shiver (Richard E. Grant), and Hawthorne (Eugenio Derbez). The ladder three are all fine actors, yet are playing glorified cartoon characters in the film. Knightley, in particular, is so ridiculous and over-the-top with her sugary portrayal that it is cringe-inducing every time she opens her mouth. Hellen Mirren plays the bad guy, Mother Ginger, who rules the realm they dare not speak of. Her performance is much more nuanced than the others and fine given what she has to work with. Her kingdom is a strange, clown-ridden circus nightmare that makes one question what was appealing about the realm before it was off limits. Where the film excels is Tchaikovsky’s timeless, beautiful score that accompanies the colorful costumes and backdrops. Almost the entire film looks like it takes place in a Thomas Kinkaid painting, with many breathtaking shots. 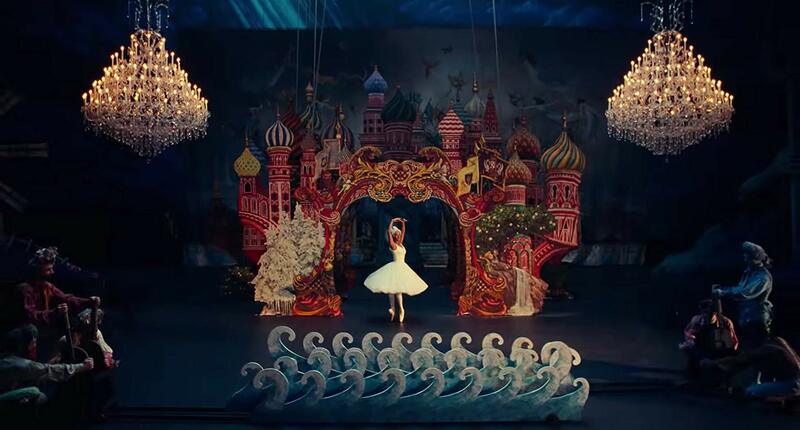 The best scene in the film is the exposition dump, where Clara is being told the story of the four realms by way of the spectacular ballerina (Misty Copland) and incredible practical sets. I loved the homage to the source material, and wish there were more of it. Unfortunately, most of the story is bogged down by poor writing and clunky CG action sequences. At the end of the day, The Nutcracker and the Four Realms is mediocre holiday fare that could have been much more interesting given the incredible music, classic story, and the studio involved. It’s slow pacing and bland writing isn’t enough to turn it into a classic, and the sights and sounds aren’t enough to save it. This time next Thanksgiving, it will most likely all seem like a strange, turkey-induced dream.